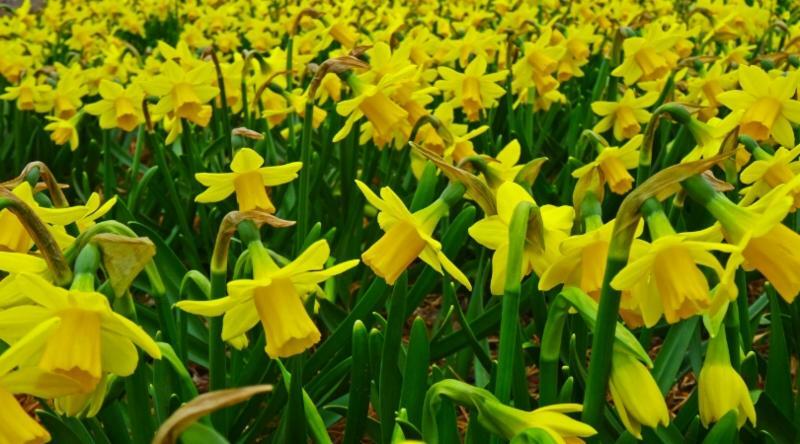 April is upon us and so is spring! 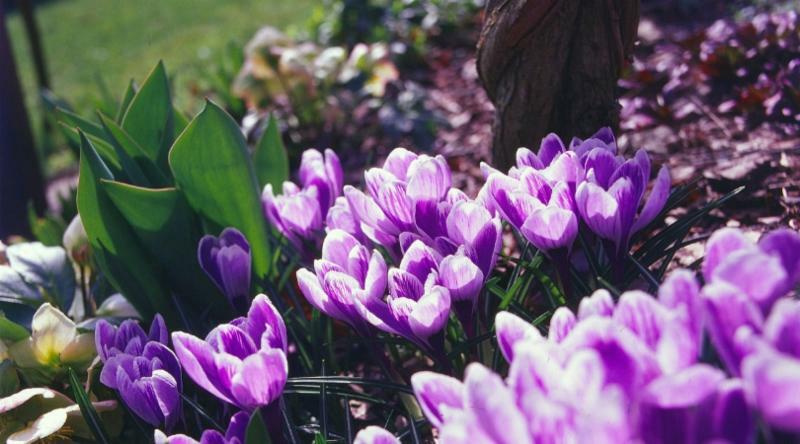 I am truly enjoying the sunshine as the days are slowly getting longer and warmer.
. Please consider applying today! This is a great way to reduce stigma, network, partner, and have fun with the children and families in your region. Be creative and send us your ideas! 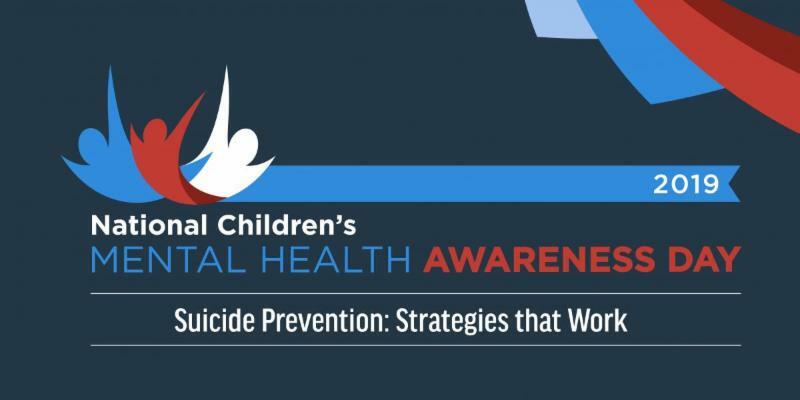 Suicide Prevention: Strategies That Work. Next month we will share lots of resources around Suicide Prevention on our Facebook and Instagram. 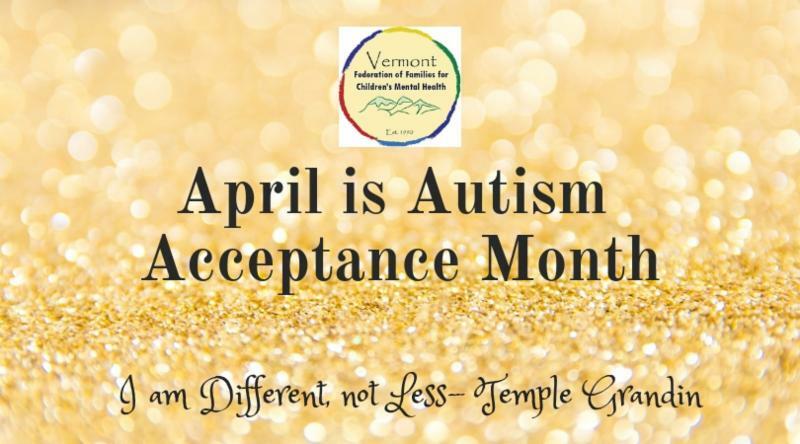 Also, this month we learned how to be more respectful to the autism community by celebrating Autism Acceptance month instead of Autism Awareness month. As a parent of an adult son with Autism also a family member of a niece, nephew and step daughter on the Autism Spectrum the learning and growing never stops. I love that we are all on a learning journey and can learn from each other how to be more respectful, accepting, and value each other. As a family run organization, we are a “judgement free zone”, we meet each other where we are at, and continue to learn and grow each and every day. 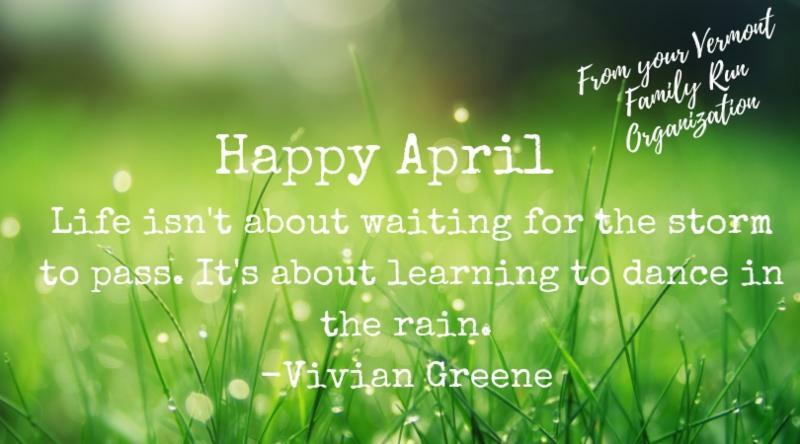 Happy April and celebrate Autism Acceptance Month with us! 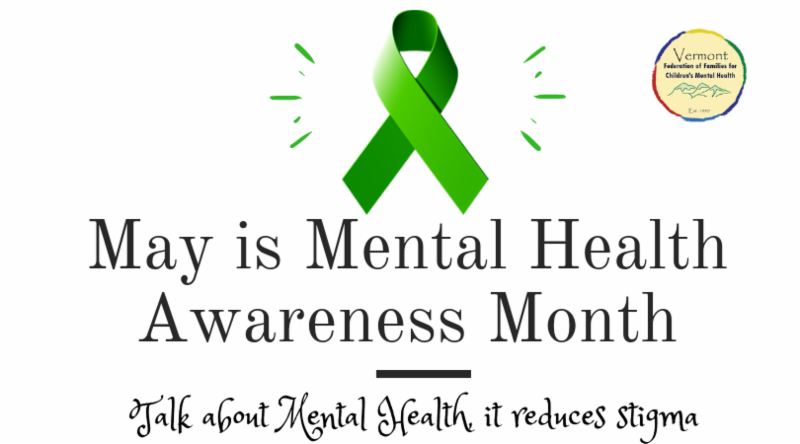 Get ready for May Mental Health Awareness Month! Congratulations to the recipients of our Children’s Mental Health Week Event Grants! 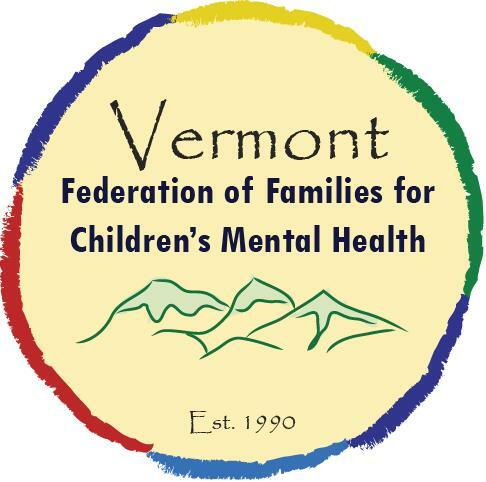 Lamoille County Mental Health (LCMH) will be hosting their Annual Children’s Wellness Day. This day is held is to families and clients reduce the stigma around mental health services by creating fun, healthy, and engaging activities that help families and their children learn and practice essential skills to help foster resiliency. It’s LCMH’s hope that clients and their families are able to have fun in a safe and healthy environment together, so that families can help support their kids in accessing these skills across settings. 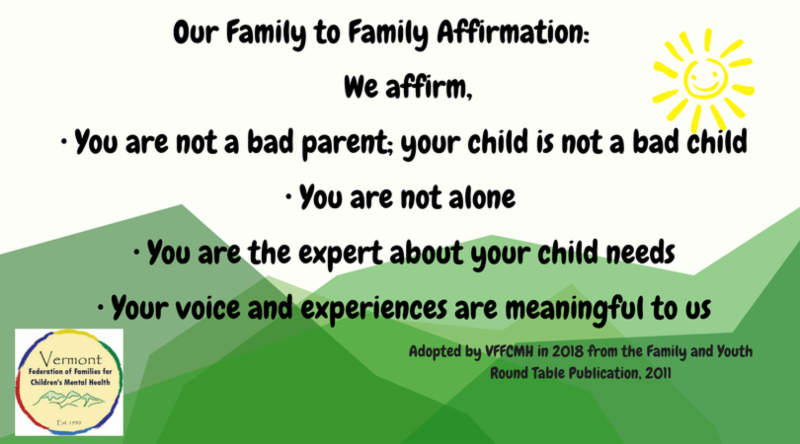 Who else is partnering the VFFCMH for Children’s Mental Health Awareness month? We’re extending the deadline for applications until next Wednesday April 17th! 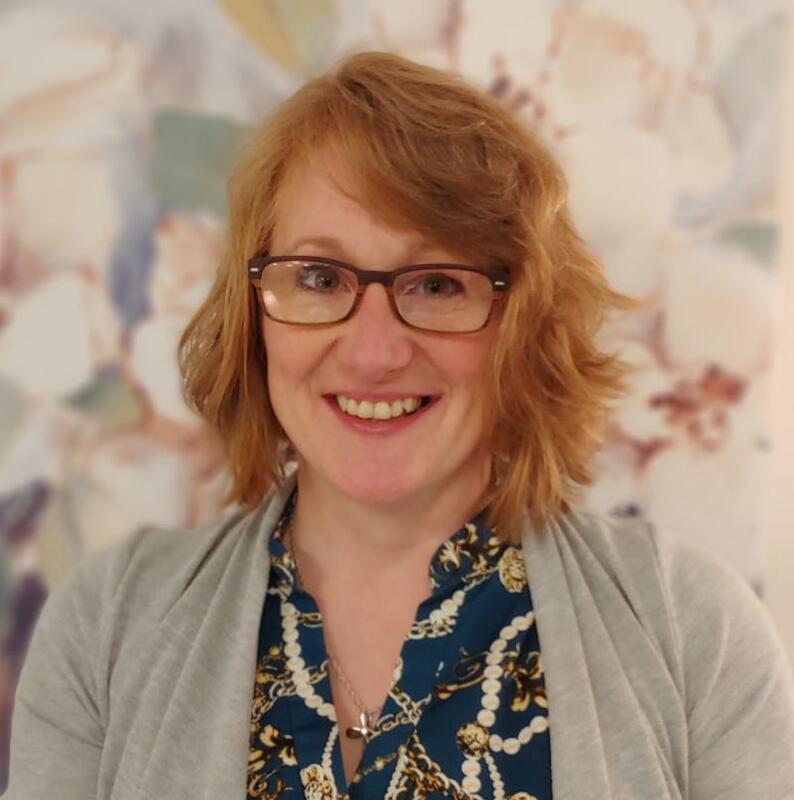 with will be hosting for workshop for all families “How to Survive and Thrive in the Children’s Mental Maze” led by VFFCMH on May 7, 2019 5-7pm. will be at the Waterbuy AHS lobby all week May 6-10th and on Church Street in Burlington on Thursday April 9th from 10am-1pm. Come visit us and learn more about our services and how to support children’s mental health! Want to help families like yours? We have leadership opportunities for parents who want to be Local Interagency Team Parent Representatives or Parent Support Providers or both! 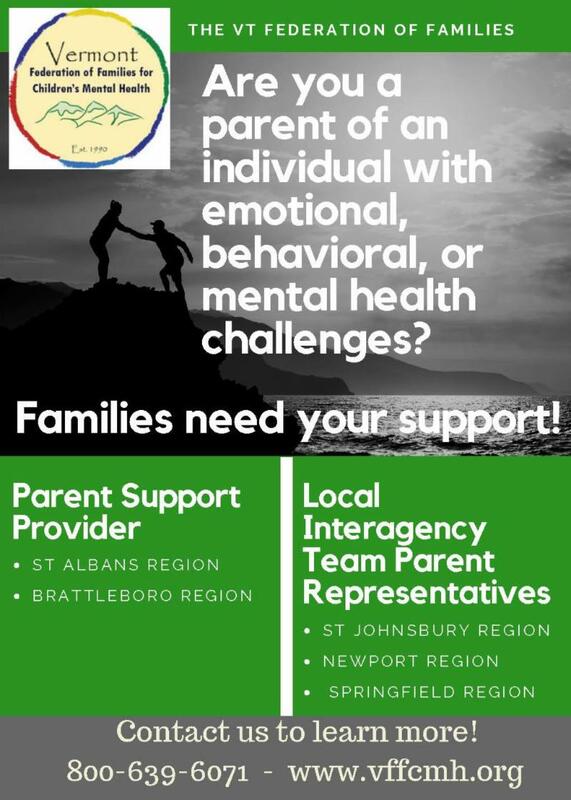 We are looking for Parent Support Providers in the St. Albans and Brattleboro regions and Local Interagency Team Parent Representatives in the St. Johnsbury, Newport, and Springfield regions. If you’re interested please contact us for more information at 1-800-639-6071 or vffcmh@vffcmh.org. for a schedule of kid family events happening all around Vermont!